You've tried the rest, we'll make your bike run it's best! Looking for those last few horses from your engine? Want your one-off custom or tricked out 'fighter to go as good as it looks? Need to iron out that annoying flatspot in your bike's rev range that appeared when you fitted that race can? 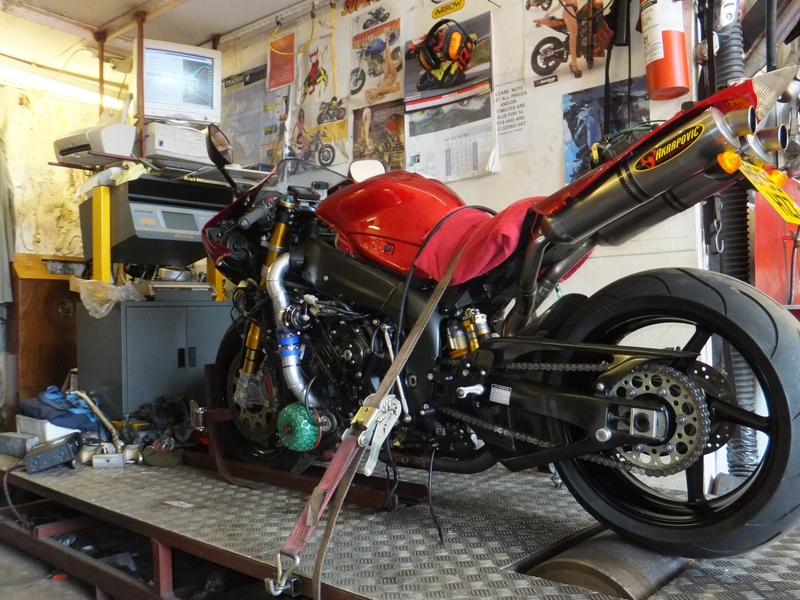 Whether you want your machine to run at it's full potential, or just want to prove to your mate that you're riding rings around him with twenty horsepower less, Barneys Superbikes and our scratch built dynamometer can help. And if your licence only allows you to ride a machine making no more than 33bhp, we can restrict your bike and supply a printout to satisfy your insurance company.